I’ve been on a mission to get organized. Filling bags of unwanted stuff and hauling them to the thrift store or the dump. Difficult for a self professed hoarder like myself (my basement and garage are the stuff of horror films). Like the saying goes, big things come in small packages which is definitely true of Command products. 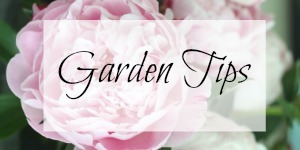 I can organize everything in my path without damaging my walls, doors or cabinets. Ever forget the milk, bread or peanut butter? I always forget something at the supermarket so I put a grocery list in a spot nobody can miss and my family can write down what we need as soon as we run out. 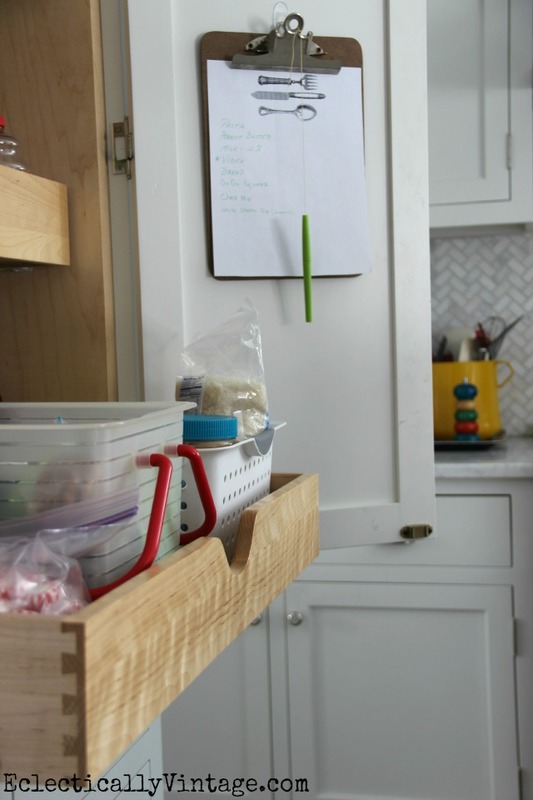 Hang on inside of the pantry door to with this cute grocery list printable on it. Staying in the kitchen, follow package instructions to attach another clear small hook on the cabinet near the stove to hang oven mitts. You’ll never have to search for your mitts when baking cupcakes, creme brulee or even frozen pizza. If you’re like me, you save plastic grocery bags. Instead of stuffing them in a drawer or under the sink (like I used to do), follow package instructions to adhere two clear small hooks to the inside of the cabinet under the sink. Take one plastic bag and hang each handle on a hook then fill it with the rest of your plastic bags. If you car looks anything like mine, you’ll probably find empty water bottles, gum wrappers and french fry containers strewn all over the back seat. I took another handy dandy small clear hook and applied it to a smooth surface on my console. Then just hang a plastic bag on it to collect garbage throughout the ride. You know I love a good wreath and one of my favorite ways to use hooks is for hanging my wreaths. I love that I don’t have to nail a hole in my door or use an over-the-door hanger. Here’s to finally getting organized in 2015! Great tips, Kelly!! I didn’t know they were strong enough to hold wreaths, that’s awesome. And I love the clear option, they blend right in! 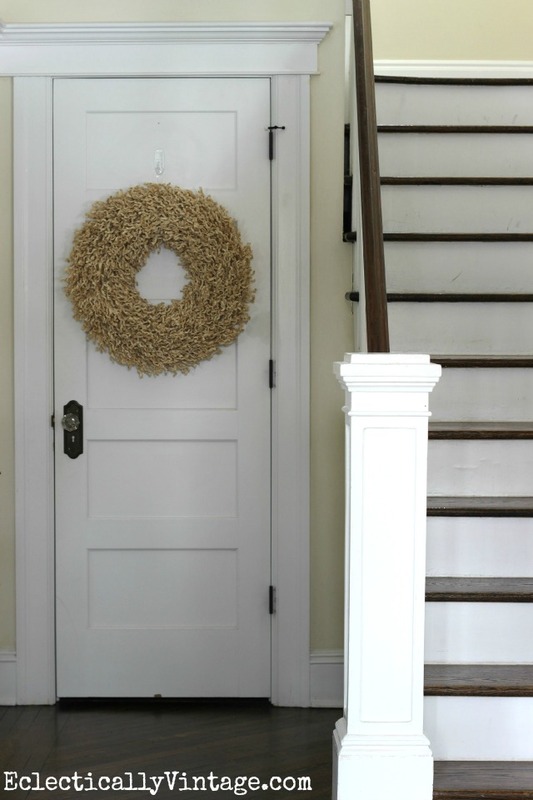 You need to whip up a driftwood wreath right away! I love Command Brand strips and use them often and everywhere. Love the idea of using one in the car! Thanks, Kelly! If you could see my car, you’d understand why I need this Heidi! 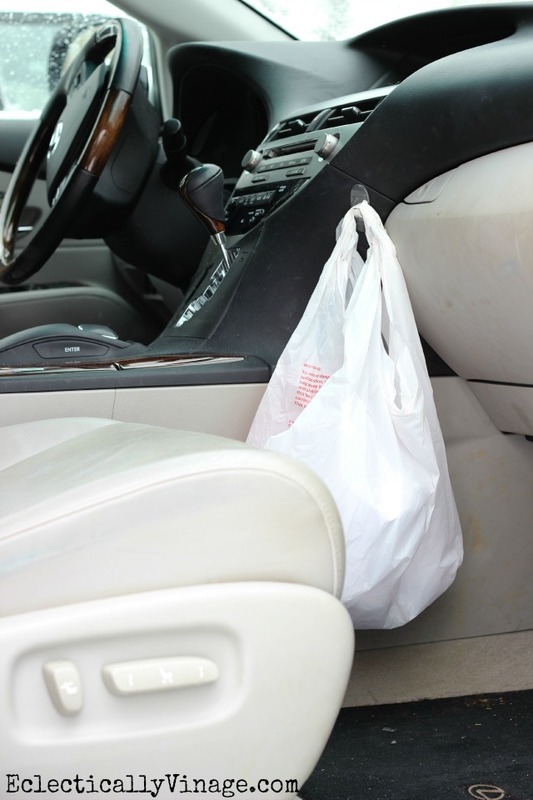 I love the idea of using one in your car for trash. Also, I have to tell you I used an outdoor hook for a wreath hanger on my front door last July and it’s still there and works great! It’s clear and you barely notice it. So much better than those metal over the door hangers that scratched the finish on my door. Great products. Agree Becky – these are much better than over the door hangers! Great tips Kelly…you have all the storage “issues” I have. For my grocery list I use one of those magnetic pads and stick it to the side of my refrigerator towards the cabinets and I adhered velcro piece to a pen and to the refrigerator so pen always handy. I like the car hook, I usually sling a bag around the shift stick. If , as you mention, you are an ambassador for Command devices I’d love it if you’d use your clout and have them add little clips to their line. I would like to stick a few to the wall of my under-the-sink cabinet to hold rubber gloves. 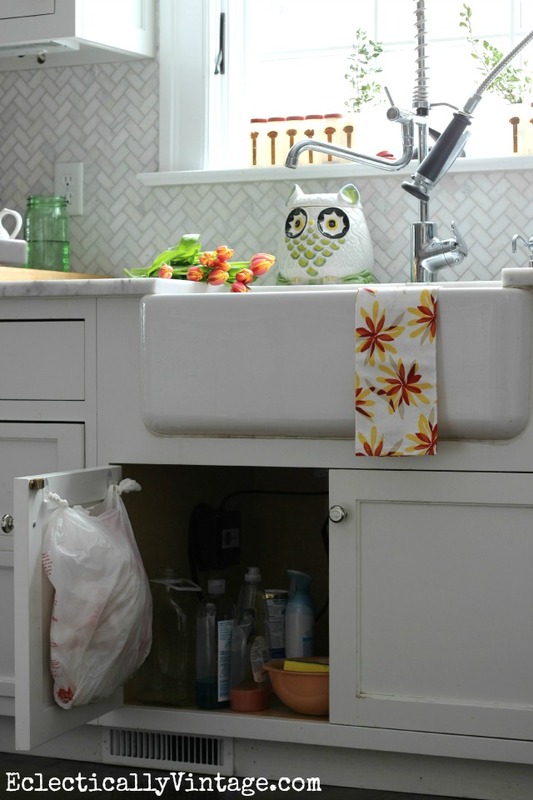 An idea that I already use may be of help to readers: I put 3 Command hooks in a row on the inside of the sink door and hook a small waste basket on them. I don’t like to have large amts. of kitchen waste sitting around and like the small container. I can line it with recycled grocery bags and empty it several times a day. 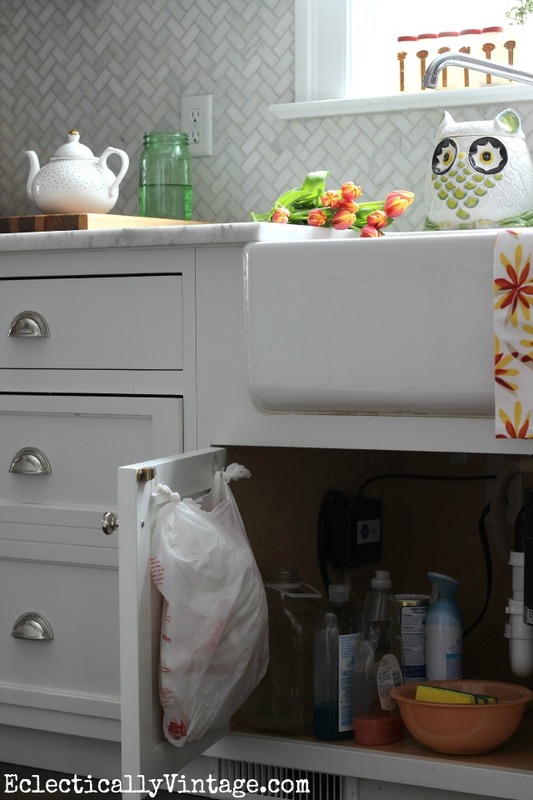 This idea also frees up space that a “normal” waste container would take up. Command spring clips are already out there. Search on Amazon. I’ve used both sides with great success. Marilyn you are in luck because Command makes the best spring clips – you can see them here: http://amzn.to/1AGNmYI – maybe you should work for Command! Love your idea of using 3 hooks to hold a small trash can! Great idea – I’m running out of shelf space in my shower! 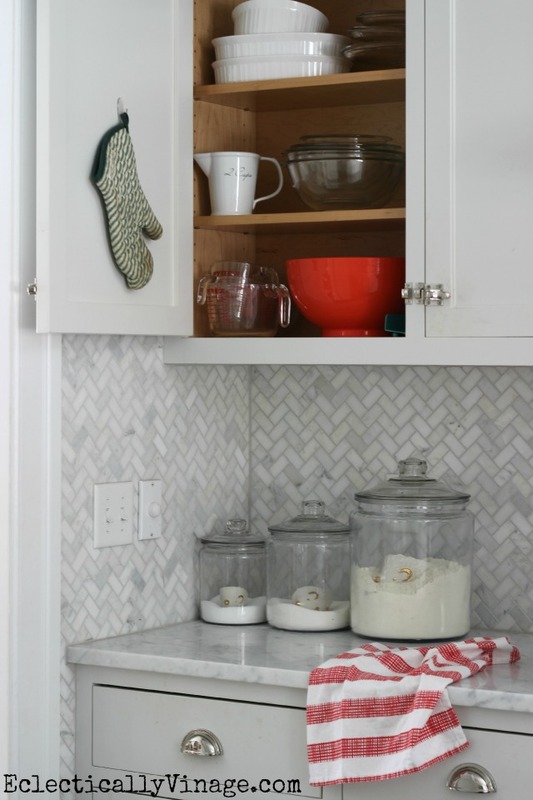 Yes – love that we can finally hang something inside a cabinet! Lots of great ideas, Kelly! Thanks for sharing! Thanks Linda – here’s to staying organized! I use these and they have a big variety to choose from. I remember years ago in my daughter’s college dorm, that brand was the only one allowed on the walls and if you used anything else and it damaged the walls, you had to pay for it. I guess they had lots of experience using Command hooks and new it was a good product. Thanks for all the great usage ideas. Their variety is amazing Judy – something to hang almost anything! 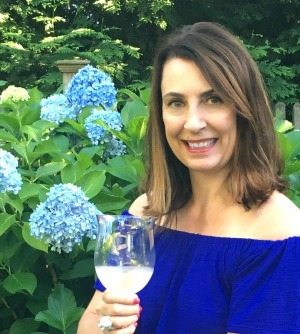 What a fun, nautical idea Christine! 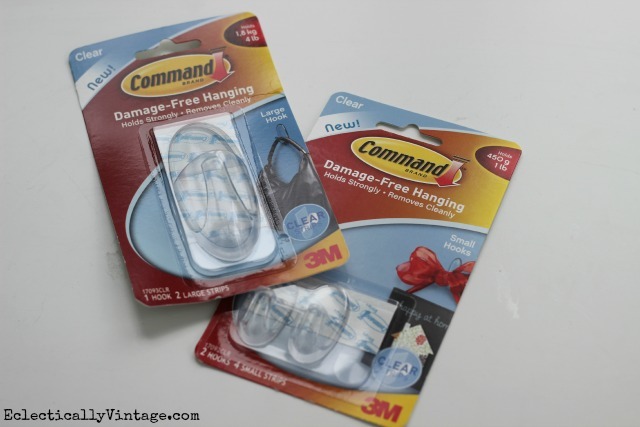 3M Command Hooks…..greatest invention since sliced bread!!! !…great uses Kelly! I love your ideas,especially one in my car my grandchildren never take their trash to house.I love the one for the wreath too those medal things scratch my paint job on my front door. Thanks Kelly. The one used in the car is the best idea I have seen an a long time. Going to get one for every car in my family, even the people who do not live with me. I agree – every car needs this Linda! Maybe we should just hand them out at car dealers when people roll off the lot!